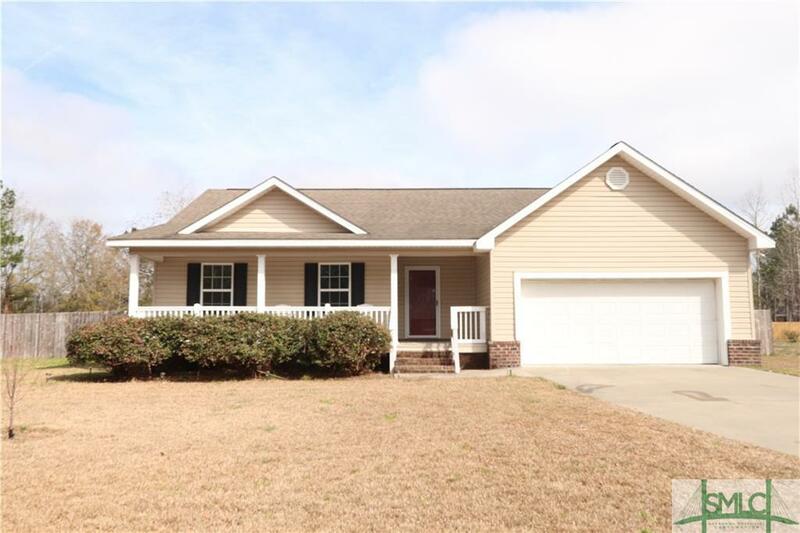 Beautiful home located in Long County with a short drive to gate 7 of Ft. Stewart and great schools. This home offers a Master bedroom with a walking closet and french doors leading to the Master bath. Great room with cathedral ceiling that over looks the large fenced in backyard. Kitchen has lots of cabinets and a counter top that you can have 4 or 5 extra seats along with your Breakfast area. Plus you have a walk-in pantry. Two bedrooms with large closets, linen closet and full bath off the same hallway. Enjoy sitting on you front porch in a rocking chair or entertaining on you deck overlooking the above ground pool. HVAC is only 1 year old. Listing courtesy of Kelley Horan of Era Southeast Coastal Real Estate. © 2019 Savannah Multi-List Corporation. All rights reserved.